Congrats on the pickup OP. What options does it have? Question for you since you say you're in Victoria. Are you on Vancouver island? That Victoria? If so, very jealous. My family wound up in Windsor Ontario when they came over from Italy, thankfully my parents hated the cold and moved to FL before I was born. But anyways, we rented a house on Vancouver island just outside of Victoria (~15-20min drive) for two weeks a couple summers ago for my Grandmother's 80th bday. I absolutely fell in love with the place and have wanted to go back ever since. Great scenery, great roads, great climate, quiet but still enough to keep you busy. It was also nice to see so many roadsters roaming about, miatas, M-roadsters, S2000's etc. 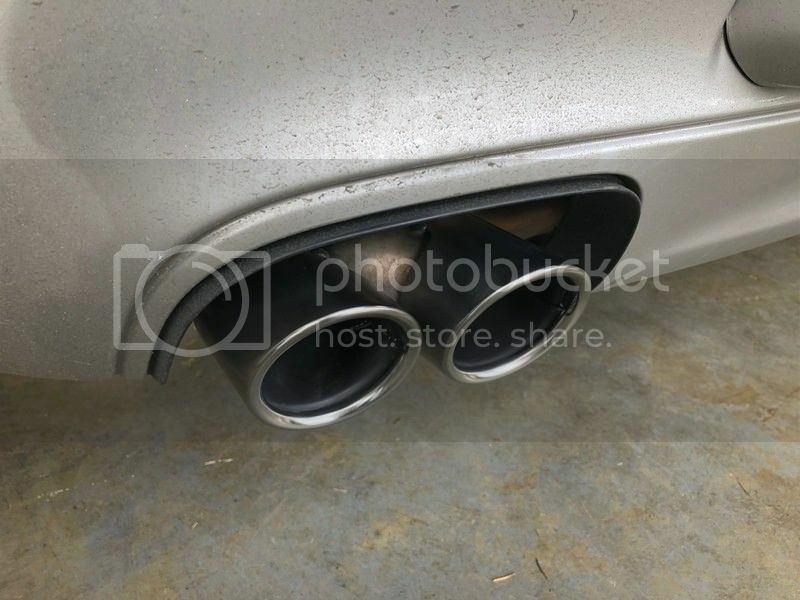 I autosol the bejeezus out of the exhaust tips on the Audi. Congrats - the 997.2S is by far the most usable, wonderful car I've owned over the last decade... amidst a sea of M cars. Do the Gundo hack mod. 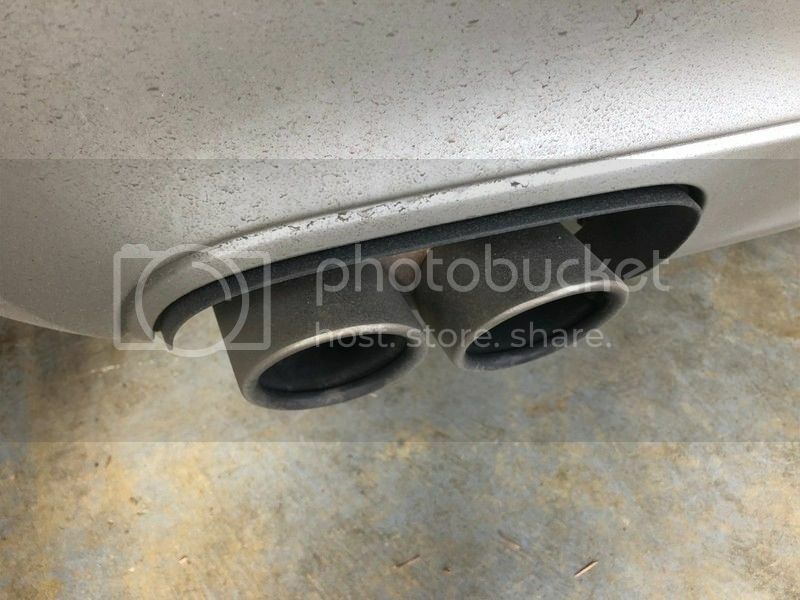 It should cost no more than $300 or so at any muffler shop, and what it does it gives you 95% of the sound you get with the expensive PSE (porsche sport exhaust) but it's always ON . Sounds awesome and no 911 should remain that quiet from the factory. When you are ready to spend $, make sure the first mod is the center muffler delete. With the gundo hack and a center muffler delete, the car sounds outrageously good with 0 drone. It crackles and pops when holding the revs at 2-3k rpm during deceleration, and screams otherwise. If it doesn't have it - get a junk console or consider yours to be repainted. If the interior is all black, painted consoles give such a great contrast on the interior. Drive it, drive it a lot. I haven't had a car that can do so much, so well. These things are enjoyable on the street.. but in the twisties or on track they are something different altogether. Do give her a proper flogging once it warms up! It is becoming known that cold climate 9A1 engines can be susceptible to bore scoring. Not definite, but you should start considering doing an oil analysis during oil changes and potentially switching to an oil formulated for DI engines. Interesting, I thought that issue was limited to M96s. Is there some kind of block/coolant heater to limit the cold startup time? Very nice purchase! Enjoy the car! I really like reading threads like yours that start with "I've wanted a Porsche since I was 9...". Congratulations on knocking that off your bucket list, goal achieved! It's right up there with "I've wanted to be an astronaut since I was 9" but slightly more attainable. The things that you fall in love with as a child and don't go away, those are real dreams. A P-car is definitely one of mine, and I can't wait for the day that I own one. I'm so, so happy for each and every person that gets to fulfill that need. Not only because you get the car, but because you've put in the work to get the car. They're not free, and they're not cheap to maintain. Definitely a milestone. Really truly happy for OP. The other pics worked, these did not. Ah, the immense joy of finally achieving the 911 dream. Congrats, OP! PS: none of your pictures are appearing for me. You guys rock. Thinking about a trip to California in the summer, visit some friends of the wife’s, and the Monterey historics. Let me know when/if you swing through Seattle. Not sure what you use to clean the exhaust tips , but I have always gotten great results with NEVR-DULL. It's a wadding cloth that does great work. Should be less than $10 at your hardware store. Now about that GTI, if you need to get rid of it I guess I will take it. It will be a hardship, but if it helps you out. Imgur would also do it. Unless there is a secret anti-Imgur thing going on for a reason I'm not aware of. pictures aren't showing up for me, but congratulations! I can imagine how exciting this must be! ok, so I'm still not a believer in this oil analysis thing. If there's already a better oil out there, why not switch regardless? Say one does the analysis and it shows that there is wear inside the cylinders. assuming the car runs fine, what would you do? sell it? rebuild an engine that seems to be running ok? I use Autosol on the tailpipes. They have a nice brushed stainless finish which looks much better with some elbow grease. About the GTI. the problem is that its 300 km away. Going to leave it where it is for now and get familiar with the Porsche. I will swap them in the spring, and then sell the GTI. I think.